Prosco has custom and designer carpentry solutions for your house at affordable rates. Call today for fast and professional service! Are you in need of professional carpentry services that are up to date with all the latest designs? At Prosco, it is our mission to connect you to expert carpenters who will professionally cater to all your personal needs as well as devise custom solutions that best suit your house. Call us today and we will recommend highly specialized carpenters to deal with all your carpentry needs. At Prosco we strive for client satisfaction on every task big or small. We associate with experienced technical teams who are proficient in building, remodeling, assembling and constructing simple and complex projects that give your home a distinct appeal to set you apart. Our friendly and interactive support team are always available and will direct you to residential carpenters who are fully equipped with all the necessary equipment to get to work and get the job done in good time! Our services are well structured to recommend only the best contractors in the carpentry industry. We carefully take into consideration what you have in mind for your home and help you actualize such visions in a manner that fits your every description. We recommend experts who offer you insight into changes that you can adapt to improve your residential experience by constructing new entries and windows, staircases, decks, artic stairways, and gazebos. There is a wide range of shelving units both store-bought and internally built to meet your preferred specifications. These can be designed for special requests such as uncommon dimensions, special doors or spacing between the shelves, special and custom designs or even furniture derived from special wood. Having an extra shelf or bookcases in your house can be beneficial in economizing space by adding extra spaces for storage which increases the overall value for your house. Call us today and take advantage of standardized residential carpentry rates from residential carpenters near you. Our support team will be glad to assist you to get the best servicemen. Our valued clients both homeowners and tenants entrust us to recommend only the best carpenters for different designs and who can articulate a perfect job in good time and with precision. 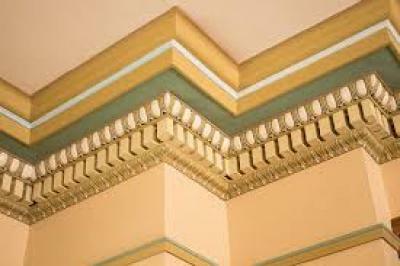 Crown molding is applied on pilasters, capping walls, cabinets and create interior and exterior cornice on buildings and furniture elements within the house. Crown molding not only adds value to your house but makes it more stylish and visually appealing. We locate experienced carpenters near you who specialize in the installation and repair of crown molding dealing with both the modern and antique designs all based on your preference. We understand the value you place on your personal space and hence mobilize our best efforts to provide premium residential services for you and your loved ones. Companies we recommend have fully insured handymen who are proficient in all types of crown molding tasks and have extensive experience in transformative carpentry work as well as detail-oriented tasks. They also work on existing crown moldings giving it more life and style as well as repair services. Contact Prosco today and we will point you to the best residential carpentry team to incorporate the most decorative finish to your walls. Additional services accorded to you here are staining services as well as painting your newly installed crown molding. Experienced Residential carpenters take pride in their handy work and are always striving to outdo their best work with every upcoming task. Home improvement is their specialty providing custom solutions in a cabinet and mantel installation for a variety of rooms in different styles and dimensions that best suits your house. The right installation of cabinets and mantels can go a long way in creating alternative storage space in your house to prevent cluttering. Once done, your house will not be the same, as the beautiful installations will give you the warm homely experience you well deserve. Call us today and our client-friendly support team will be with you in a moment engaging you professionally in seeking out the most personalized service that befits your home. At Prosco we have you adequately covered, sit back and let the professionals get to work for you all for an affordable rate that will readily fit your budget plan. Professional residential carpenters we recommend take their work seriously and appreciate the artistic involvement of carpentry. As such they follow all the professional guidelines big or small: in making measurements, following a set plan and piecing individual parts to come up with a conclusive work that stands out. These experts heavily rely on your taste and advise you appropriately; together you will come up with the best artistic work for your home. Carpenters we recommend are certified and skilled to conduct even the most complex obligations without compromising the structural integrity of your house. Contact Prosco today for a personalized carpentry service that designs your house to be a reflection of who you are. Our team will be honored to help you find the best carpenters in the market!